This week is UAL’s Creative Enterprise Week (12-16 November), a series of events, talks and activities to help students turn their creative ideas into reality. To celebrate, we caught up with one of our enterprising graduates who has set up her own creative business. 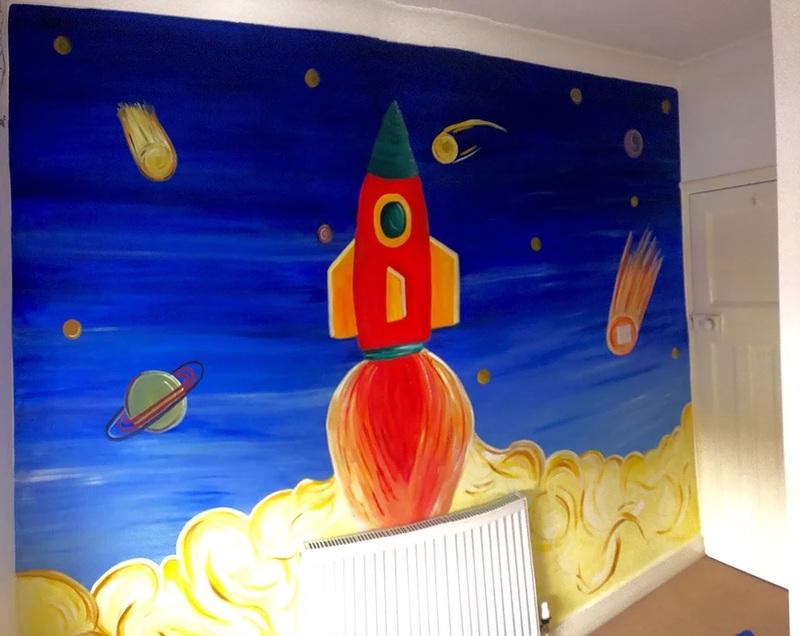 Since graduating from the BA Sculpture earlier this year, Ciara McNeill has started CM Design, which offers bespoke mural design specialising in children’s bedrooms and play areas. Ciara discovered her penchant and passion for mural design almost by accident, after she got a job with an interior design company who regularly employed muralists to work on different projects. “It was really quite random. When I graduated and was working for the interior design company, I was really impressed by these muralists and what they were creating,” says Ciara. The company Ciara was working for asked her if she wanted to work on some of their mural projects and she jumped at the chance. 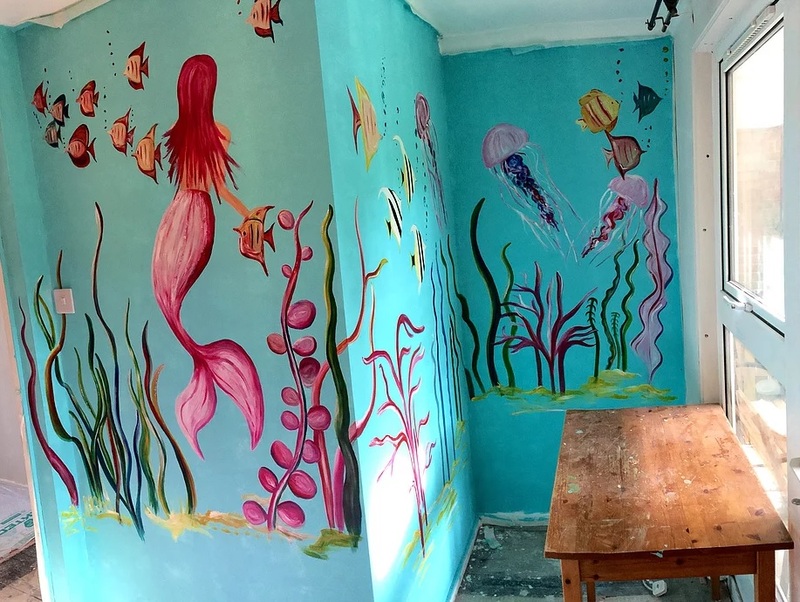 “I learned so much by working on a mural myself, particularly about paint, because you need to use long-lasting wall paints instead of oil or acrylic paints like a normal painter would use,” she explains. 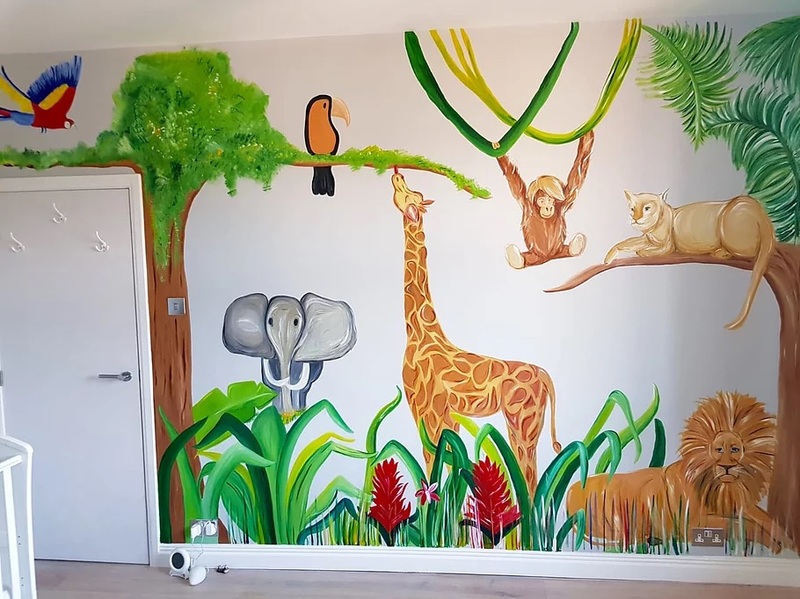 Ciara then branched out to designing and painting her own murals for a small group of clients, and her business has only grown from there. “I started out painting a few murals for friends, and that’s when I decided to turn it into a small business,” she says. Sometimes Ciara’s clients have a very specific theme in mind, but other clients give her complete creative freedom to do anything she likes. “I make mood boards, concept boards and 3D SketchUp designs and I send them over to the client to review. Then they provide their feedback, adding bits in or taking away,” Ciara explains. SketchUp wasn’t the only new skill Ciara had to learn in order to grow her business, and she was surprised at just how much time and energy goes into marketing and networking. “That’s the most daunting thing, is having to be brave and get in touch with people to say ‘let me work for you’. I’ve visited design teams and studios, explaining that I’m an artist and asking if they might need me for any upcoming projects, and I’ve had some interest from that. You need that confidence to just go and do it. The worst that can happen is they can say ‘no’, and that doesn’t matter. You’ve got nothing to lose,” she says. While her business is still in the early stages, Ciara has grand plans for growing her business and expanding into other areas of design. Because Ciara’s business marries her interests in both art and interior design, she has opted not to continue with her artistic practice she established at university. “Making murals scratches the creative itch for me even more so than making work for myself did. I always thought I wanted to be an “artist”, but since leaving I’m realising that there’s so many different ways to be an artist, and there’s no wrong or right way,” says Ciara. As the creator of a new small artistic business, Ciara has some useful advice for other art students or graduates looking to do the same thing. “Just go for it and have fun! When you’ve just graduated is the perfect time to start your own business because you’ve got nothing to lose. 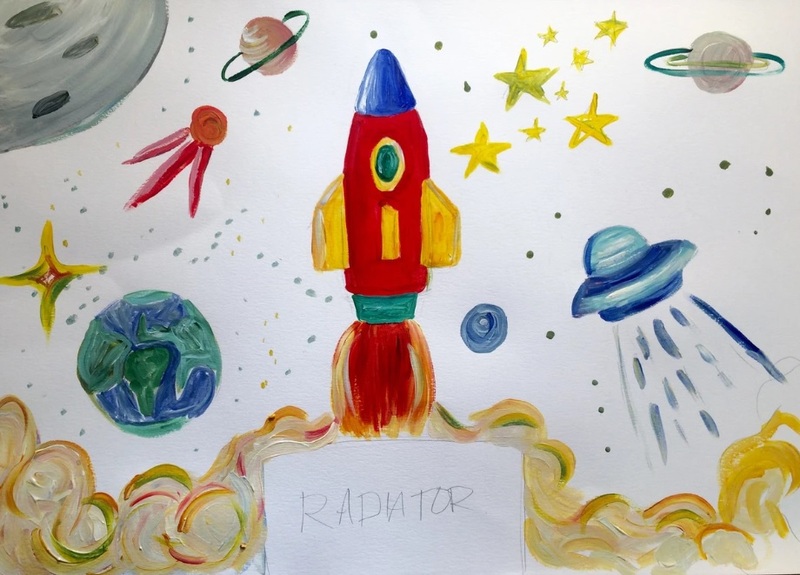 It’s daunting when you leave university having to make money, and I’m actually doing temporary agency work alongside my mural business to help make ends meet, but it’s given me the freedom to pursue my interests,” she explains. You can find out more about Ciara and CM Design by visiting their website and Instagram page.